If you’re a small business owner, you probably won’t be totally surprised to learn that your employees don’t all manage expenses as well as you do. They require guidance, rules, and monitoring. Small business prepaid credit cards will offer you a powerful tool to use for expense management. Prepaid credit cards for small business allow you to limit purchases by amounts and types, track all purchases, and even get an instant alert if an employee violates the rules. How can small business prepaid credit cards make it easier to manage expenses? You probably can’t personally make every purchase for your company, but you’re still responsible for you company’s budget. Entrepreneur Magazine reported that more businesses are working towards very careful expense management in order to eliminate costs that don’t contribute to business profits. Employees who don’t take the same care with your budget as you would can make this task very difficult. You may have considered offering your employees small business credit cards to make it easier for them to make purchases while they’re out doing their jobs. You probably don’t want to burden employees with having to dip into their own personal funds before getting reimbursed. You certainly don’t have time to follow all of your people around to buy supplies or gasoline for them. These cards let you give your employees the convenience of regular small business credit cards, so your people can buy what they need to get their jobs done. 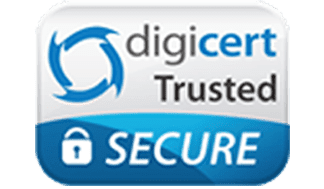 At the same time, you can monitor and control the way that they use their cards to ensure that they handle expenses the way that you need them to. You know that you have to qualify for small business credit cards, may be personally responsible for debt, and will have to pay back loans with interest. With prepaid credit cards for small business, you don’t have to qualify for a loan because they are funded from your bank account. You also don’t have to manage any additional debt. You simply pay a modest fee for the services that each of your small business prepaid credit cards offers you, but you won’t pay interest because you aren’t borrowing money. As a prudent business owner, you’ll want to vet any potential card provider before trusting them with your business funds. You’ll be relieved to learn that Bento for Business has earned an A+ rating with the Better Business Bureau (BBB). 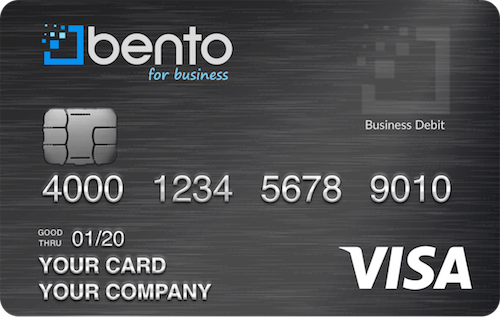 If you still have questions about Bento’s business Visa debit card, refer to the Bento FAQ page. You can also enjoy a free, 60-day trial to make sure that these small business debit cards provide your business with the right solution. Contact us at 866.220.8455 to learn more.